As Spring begins to pop out all along our beautiful Gulf Coast, there is a wealth of outdoor family fun for you and your loved ones to enjoy this season. GTP has all the information you need so you won’t miss a thing! Downtown Biloxi is blooming like never before thanks to our March Mover and Shaker, Laura Bolton. She is a Coast business woman who is one of the driving forces behind the preservation and revitalization of Biloxi’s historic downtown district. 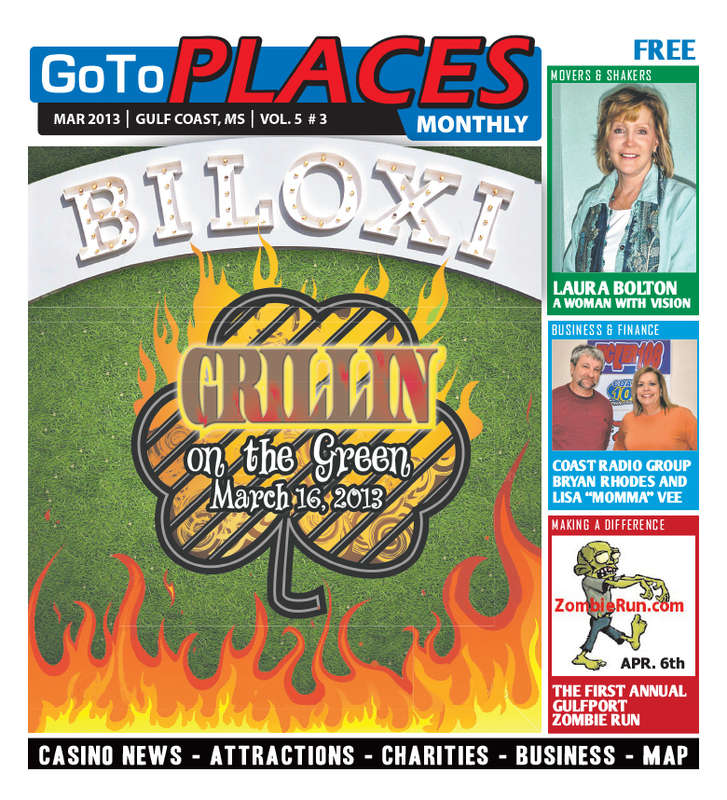 The Biloxi Town Green will proudly host Grillin’ on the Green for the 7th year in a row! We take you behind the scenes of this exciting annual event that expects over 10,000 visitors this year. Meet Lisa “Momma” Vee and Bryan Rhodes of Coast Radio Group who are the only local Country music morning team on the Coast! If Country music is not your cup of tea, Coast Radio Group has you covered with a great variety of genres up and down the dial with 5 full time DJ’s that deliver all your favorites day and night. And for the first time ever, zombies (yes…you read it right, zombies) will take over the Harrison County fairgrounds for an insanely fun 5-k run and obstacle course event that is guaranteed to scare the bajeebers out of you! The Zombie Run Gulfport will be held on April 6 and tickets are flying out the door. Read all about it here!